The importance of pleasant public spaces in the city cannot be overstated. It’s astonishing to see how much appeal a pleasant place can have on us as city dwellers, as daily users, as tourists or as random passers-by. We like to be surprised by a beautiful park or square, where we can relax in the green outdoors or look at the people around us. We prefer to walk or cycle the long way through a pleasant street with varied façades and a mixed use of the plinth than go through a dull or unpleasant street. Good public space gives an area identity. It tells the story of a place, encourages encounters or offers other potential uses of a place that suit our specific need at that moment. It contributes to economic prosperity, to safety, health and happiness (Jacobs, 1960). Creating or improving public space is therefore a challenging task for anyone whose work is related to the city: from social workers to property developers, from architects to city marketers. A focus on public space is not a given, however. Too often, public space is still neglected by administrators, designers and developers of the built environment. Either that, or it’s under threat from (creeping) external developments such as safety, control, efficiency or commerce. We can therefore ask ourselves: What makes our space public? What makes public space attractive? And how can we ensure that an attract place endures? To answer these questions, we need to consider the meaning of public space, the different types of interventions that can create or improve (placemaking) public space and, finally, how to set an agenda for placemaking. The refections and discussions on public space differ substantially. As a result, public space is designed and managed in different ways. A discourse is a coherent entity of language, words, symbols and forms that steer the way we think and act. When it comes to public space, we can distinguish between at least three influential discourses: public space as a free meeting space, public space as a frictionless transition space and public space as a theme-driven consumption space. The discourse of public space as a free meeting space is the classic ideal of a place that’s truly public: it’s a place by and for everyone. That means that the public space in a heterogeneous society has a variety of users. The public space is a communal (civil society) gathering space (agora). In this discourse, it concerns meeting, exchanging, getting to know people, forming ideas, and therefore also democracy (see Habermas, 1962; Hajer and Reijndorp, 2001). There are manifestations of this discourse throughout history. Think of the market square in the Greek polis, Vienna’s coffee houses or English parks, such as Hyde Park with its speakers’ corner as concrete examples of public space belonging to all people and free speech. These days, local policy aims to use public space in neighbourhoods to get people out of their private domain and in touch with other people. City makers’ plans also frequently focus on the quality of the public space as a place to spend time and meet other people. Public space as a free meeting space is at odds with another discourse: public space as a frictionless transition space. This discourse is about management and control, efficiency and safety. The aim of modernist urban development is mainly to create tidier cities by building straight streets, dividing the functions of living, working and recreation, and providing much space for cars. And all that preferably in a build environment with a great deal of uniformity and predictability. For decades, Le Corbusier infuenced urban planners with his notions of the city as an ordered machine – in which the street has no other function than connecting A to B, seeing as ‘Man walks in a straight line because he has a goal and knows where he is going’ (Le Corbusier, 1929). This discourse is reflected in many work locations, in and around stations or in shopping centres. On top of that, the culture of fear, safety and control has introduced the use of CCTV cameras, public transport gates and the lack of green areas, because the space is meant for transition, and friction between people has to be prevented (Garland, 2000). Presumably the persistent fear of terrorist attacks will not alleviate this fear anytime soon. Another discourse that limits potential places as free meeting space is that of the theme-driven consumption space. Public space in this discourse is the place where users are mainly consumers that need to be entertained and from whom you must make a profit. As a result of globalisation, retail chains and hospitality formulas appear in the same form everywhere. The city has become a theme park (Sorkin, 1992). Tourists are seduced by spectacles in the shape of extravagant icon architecture (the land marketing of the city) with the requisite souvenirs in tourist shops (Verheul, 2012). An extreme example of theme-driven consumption space is Times Square in New York, with actors in Disney character suits in a décor of international brands screaming at us from screens. But the centre of Amsterdam is also an example, where local trade is increasingly being replaced by waffle and Nutella shops. The small, non-touristic towns and villages are also succumbing to McDonaldization (Ritzer, 1996). The above-mentioned developments and influences from the outside reveal that many places are losing their public and local character. Modernisation, globalisation and commercialisation are to blame. ‘Places are turning into everywhere else’ (Zukin, 2010) and are thus actually becoming a ‘non-place’ (Augé, 1992). Places are appearing where we don’t feel at home, where we want to move through as quickly as possible, or even avoid – sometimes with negative consequences for the city or surrounding areas. The question is what we can do to give the places a public identity. A variety of examples of placemaking show that places are never lost. Places can be revived in relatively simple ways and with few resources, be embraced by a diverse public and even have all kinds of positive spillover effects on adjacent places. What are the various forms and function of placemaking? Cultural placemaking is perhaps the clearest form of placemaking in which a place is given new identity. Think, for example, of performances by local musicians, of theatre and of sports activities. The Schouwburgplein in Rotterdam, which used to be mainly empty and draughty, has been given a facelift together with cultural institutions. It is particularly when cultural placemaking is in sync with local character that it can help stop a place from becoming alienated. Economic placemaking concerns increasing the value of a place and its surroundings. There are many examples of vacant areas where temporary or permanent initiatives have pulled a place out of a negative spiral of deterioration. A classic example is Bryant Park in New York, where property owners from the area invested in the park through a company investment zone. They, in turn, were responsible for a positive development in the value of property. In Nieuwegein, an area cooperative consisting of various partners was set up for an unattractive office location. They discovered what was wrong with the place and what was missing through an area evaluation (placegame). In the meantime, interest in the location has grown immensely, resulting in rising property prices. A variation of economic placemaking is innovative placemaking. The idea is that a diversity of people with their own knowledge and competences will lead to new innovations and that the public space there will play a major role in this. The assumption is that cafeterias and public workplaces will be a key facilitator in this process. The municipality of The Hague is currently working with the business community and higher education on the so-called Central Innovation District in order to develop a high-quality knowledge industry. Together with the American Brooking Institution (the Bass Center), Project for Public Spaces and the Delft University of Technology they’re attempting to discover exactly what is needed in public places to encourage cross-sector cooperation and new innovations. Whereas economic and innovative placemaking mainly focus on the city’s economic prosperity, social placemaking focuses on social tasks. It concerns placemaking that focuses on community building, on bringing people into contact with each other, on helping people with their needs and on bringing them out of social isolation. 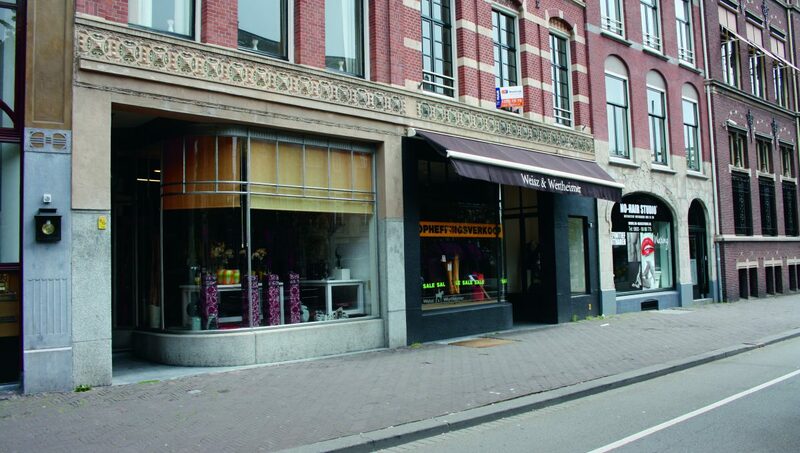 A unique example is how Bakery De Eenvoud in Amsterdam moves into neighbourhoods to bake bread with people. 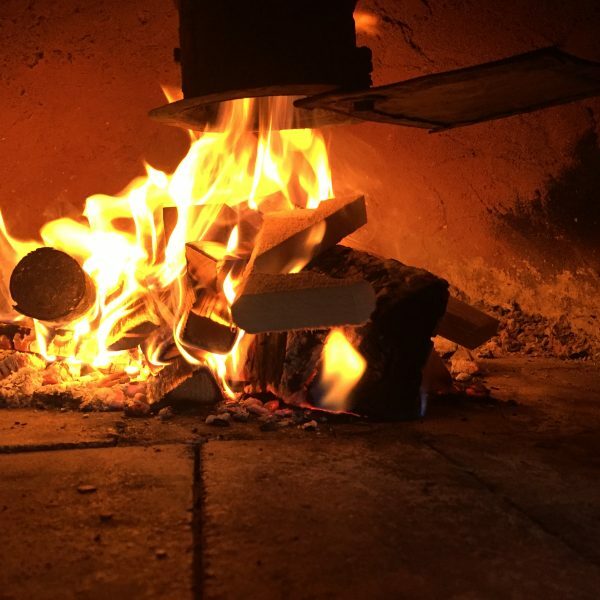 The act of baking (kneading, baking and eating) is a low-threshold one and helps people to talk about their concerns, sometimes with an openness not reserved for formal care institutions. It’s important that we don’t view placemaking too narrowly as a single activity. Placemaking consists of different functions (as described above) and it often involves multiple interventions. We can distinguish between four types of intervention: the hardware, the software, the mindware and the orgware of placemaking. Because there is a great deal of linguistic confusion about what we understand placemaking to mean, it would be useful to define it and illustrate it more clearly. The hardware of placemaking is about making a concrete physical intervention in public space. Today there is much knowledge available about the criteria that attractive public space has to meet. There are guides by William Whyte (1980), Allan Jacobs (1993) and Jan Gehl (2010) containing a great deal of useful advice about the dos and the don’ts of squares, streets, parks and the plinths of buildings. The common thread is the idea that we must take the users’ expertise seriously and, as Jan Gehl suggests, ‘experience the city at eye level and at five kilometres an hour.’ Among other things, that means more space for pedestrians, wider sidewalks, no blind plinths, but a varied and open ground floor, with a mixed function, varied architecture, cosy squares and the opportunity to sit and seek shelter. The principles of a well-designed space may sound logical, but they’re definitely not known to all designers or developers. Blind walls or mirrored windows are still a common sight along new streets, and there are still many large, empty squares. ‘If in doubt, leave some meters out’, is Gehl’s advice (Gehl, 2010). Riverfronts in many cities are barely being used: public space is absent and buildings have been built with their backs to the water. The software of placemaking concerns programming and activities in public space. In Almere, for example, a desolate square in the city centre has been changed by organising beach volleyball, live music and cooking workshops. We can achieve a great deal by designing public space well, but interventions in the hardware are usually not sufficient on their own, sometimes too complicated or simply too expensive. 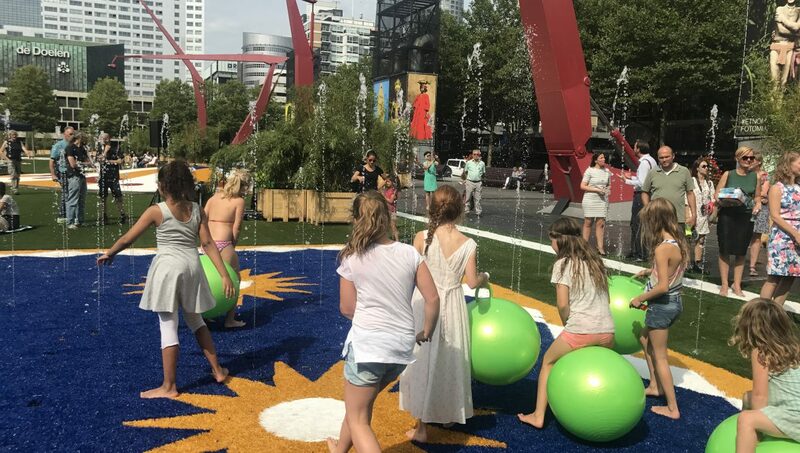 The American organisation Project for Public Spaces (PPS) has shown through their ‘lighter, quicker, cheaper’ approach that by organising a few activities, public space will be used differently. In the Netherlands the BenchesCollective is trying to entice people to put benches on sidewalks, parks and squares on certain days of the week, thereby creating a major open-air café. If a public place really wants to be actively used by a diverse public, then you have to be able to do multiple things there. According to environmental psychology, people are happiest when they use a place that is consistent with their own needs. For one person that means sitting and watching people, for another it means playing a ball game and for yet another it means peacefully daydreaming. That’s why PPS uses the rule of ‘the power of ten’: there have to be at least ten reasons why people will use the public space. The mindware of placemaking concerns how placemaking alters the way that we look at places. In Breda, the ‘Via Breda’ programme, in and around the station, has changed the way people experience the two city districts on opposite sides of the railway tracks. Placemaking can completely change how people view places, particularly desolate places and fringe areas. The Zomerhofkwartier in Rotterdam, for example, was an unknown, uninteresting area on the edge of the centre that people usually avoided. Public developer STIPO, together with housing association Havensteder and other partners, invested for years in different types of placemaking, and as a result the area has improved in every respect. The orgware of placemaking concerns the partners in question, their mutual cooperation and how they organise themselves. Established institutions are increasingly adapting their traditional top-down role. It’s no longer the administrator, project developer or designer that knows, from the vantage point of their meeting room or drawing table, exactly what needs to happen to a place – rather, the ‘community is the expert’. That means deciding with local users what needs to change or what can be improved, how institutions incorporate these findings in their redesign and what kind of initiatives a city’s inhabitants can develop themselves. In De Binckhorst in The Hague, BPD discovered that instead of frst developing an all-encompassing masterplan, it was better off to start by organising minor activities with other parties to change the area. Indeed, at the outset there was no clear picture of what kind of property development would take place. 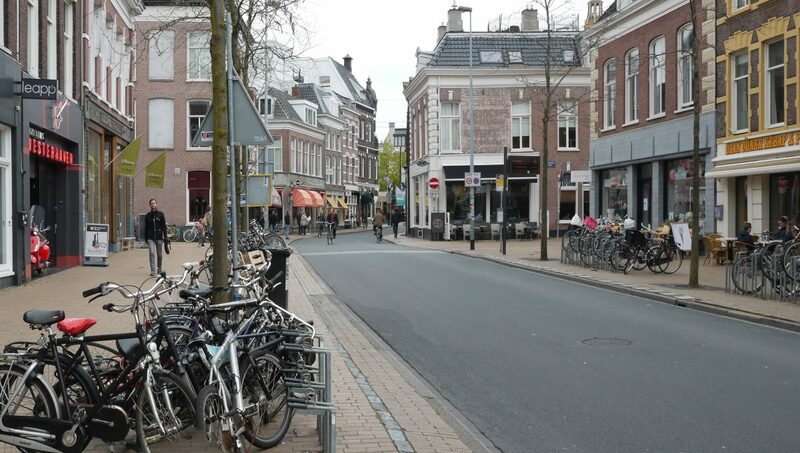 In Dordrecht, the municipality had to accept a supervisory role in a place maintained by residents and manage expectations by explaining to users what the municipality can and cannot do. Ogware also concerns the people behind the success of an initiative. Frequently activities depend on several enthusiastic people, which can be a vulnerable situation to be in. Sustainable initiatives in public space generally rely on a broad network with multiple nodes (Könst, 2017). Even though many places are bereft of their local character, their quality as a place to spend time or their public value, places are never hopeless. The practice of placemaking has already generated many impressive examples of improved places. Of course, prevention is better than cure: clients, designers and developers should view users as experts from the start and put public value high on the agenda. In doing so, they can allow themselves to be led by guides on how to design attractive public space. But even if this is not done from the very start, placemaking can bring about changes for the good. To achieve this, city makers and researchers of public space and placemaking have to deal with a number of challenges. Initiatives for placemaking would do well to study, demonstrate more effectively and showcase their added value. Now that the economic crisis is over, there is more pressure to develop properties quickly. Sometimes that also means that international financers and developers, who are far removed from local practices, may overlook local users. Whereas local initiatives were an effective way of preventing vacant areas from further deteriorating during the economic crisis, the pressure on space is so immense now in some places, that civil society parties are not even considered anymore. Luckily there are examples of prime locations where owners realise that you shouldn’t always go for the highest bidder and that it’s important to retain existing, low-threshold functions in the area. But that’s certainly not the case everywhere. City makers will have to demonstrate the added value of their initiatives, and that will require more systematic research than the anecdotal evidence which the world of placemaking too frequently limits itself to currently. City makers would do well to continue to base their initiatives on the essence of the ideal of public space as a place for a heterogeneous group of users. Sometimes initiatives are in danger of falling prey to their own success, or an enthusiastic group of permanent users is unaware of how their use of a place can restrict other type of use. For example, that could mean that in addition to noisy activities there also has to be space for silence, for people who don’t wish to participate in a joint activity but want to quietly read a book. For some people public space is a place where you can take off your shoes, but perhaps that’s not everyone’s cup of tea. Nor is everyone always in the mood to actively meet people. So, to phrase the question as a paradox: how can you also create some privacy in public space? There is never a strict division of the public and the private: we discover pieces of the private in public space, just as we do pieces of the public in the private domain (Van Melik, 2008). The question is how to organise this alternation at the urban and neighbourhood level in such a way that justice is done to the diversity of society. Looking for diversity in placemaking also means asking yourself which people or groups are not represented during public meetings or in the co-creation of a place. That could mean people with low or people with high levels of education, the elderly or youth, volunteers or business people. Initiators and managers of public space have to be aware that activities can have the effect of both welcoming and excluding people. Initiatives in public space require checks and balances and an equilibrium in the triangular relationship between the government, the business community and civil society. The government, for example, can establish rules and maintain order by means of its traditional (constitutional) position and democratically elected authority, but it can also play a facilitating role by providing parties with process supervision. The business community, on the other hand, is mainly familiar with market stimuli: it knows how to satisfy consumers and develop healthy business models. Involved citizens are part of civil society. They aim to set up activities with each other based on trust and enthusiasm, which is not always feasible in an anonymous relationship with the government or the business relationship with the market. All three sides of the triangle have their strong and weak points, and it’s important to be aware of how to best incorporate each of these placemaking initiatives into this triangle. Placemaking is never finished. There are still hundreds of places that need placemaking. Think, for example, of all the small and medium-sized station areas that have not been dealt with in recent years, in contrast to the large stations. Also think of the river fronts or obsolete vacant industrial estates. Or think, on the other hand, of shiny new projects, where too much attention was devoted to façades by starchitects and too little on the public space around them. There’s still plenty to do when it comes to placemaking, and we learn from past mistakes and successes. As soon as we reduce placemaking to a stunt or a formula that can be applied everywhere, then we’re failing to appreciate the individuality and dynamics of time and space. The art is to continue innovating. Only then can a variety of users feel connected to a place and really feel at home there.